Tritium emits a continuous light source when not using batteries or electricity in low or no light conditions. 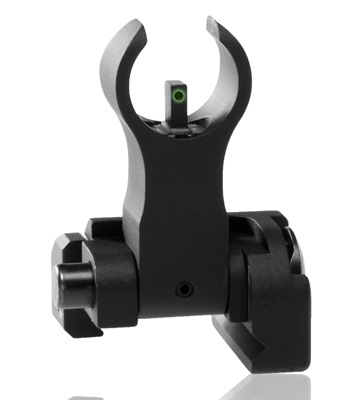 Front post is centered between two tritium points of reference to allow for proper alignment and sight orientation in low-light conditions. Sight is designed to work on same plane rail systems only. Will not work with a railed gas block that is higher or lower than the receiver. Fits the SR-556®, SR-762®, SR-22®, and AR style of rifle with Picatinny rails on it. Made in the USA by Troy Industries.